Trump is a genius. He took away DACA so he could give it back. If they don’t give him the wall, they screw the DACAs. 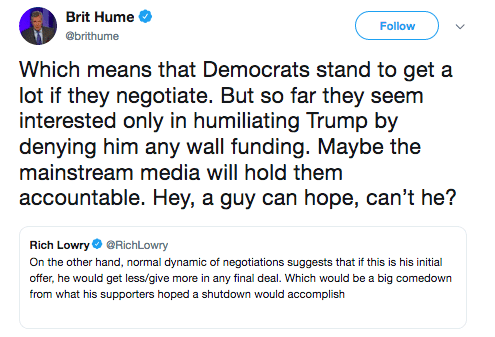 And the ongoing shutdown is their fault. He just grabbed their compassion card. Prediction: His support among DACAs and Latinos will go up. UPDATE: Thoughts from Trent Telenko.